Going higher and higher with DARE! 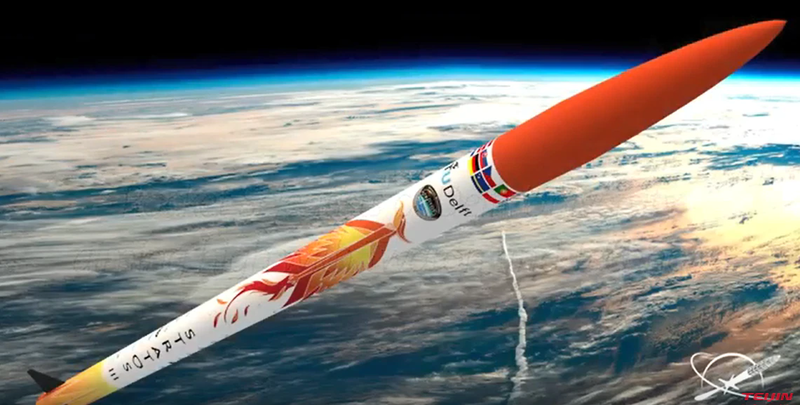 With over 140 members and several records to their name, Delft Aerospace Rocket Engineering is one of Europe’s most successful and well-established university student rocket societies. Since August 2016, Teijin Aramid has been providing DARE with material science support in what has become a pioneering and educational collaboration. If the weather permits, on July 18, the DARE team will launch their Stratos III rocket in an attempt to break the European student altitude record. The launch will take place at El Arenosillo, Spain, where the team are now busy making the final preparations.